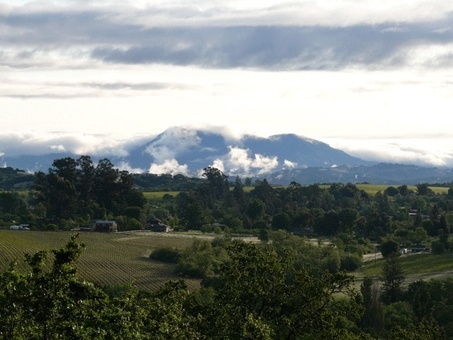 What better way to celebrate Earth Day this coming weekend than to imbibe one of nature’s greatest creations – delicious premium wine – at one of West Sonoma’s most spectacularly scenic wineries? Joy Sterling of family-owned Iron Horse, located at the southern end of Russian River Valley, hosts an all-green annual party that features a live solar-powered reggae band and a "Green Market" highlighting a bamboo bike and the Tesla $100,000 electric roadster. To whet your appetite for green cuisine, Chef Christopher Greenwood is assembling a sumptuous array of "world street food" – local produce transformed into the enticing fresh flavors found in pushcarts around the planet. Jerk chicken grilled over grapevines, rice noodle soup with lemongrass mint and chilies and smoked black cod rolls share starring roles among the fare. While you eat, drink, and calculate your carbon imprint, keynote speaker Gil Grosvenor, Chairman of National Geographic, offers wise advise on ways to solve some of our most devastating environmental issues. And if you go away as the winner of a raffle for one year of free energy, valued at up to $4000, you’ll be able to solve at least one of those environmental problems – rising costs – closer to home. In keeping with the spirit of the event, Sterling is urging guests to buy advance tickets in groups and to carpool – or to bike up the long and winding road to the glorious hilltop winery past an undulating sea of bright green vineyards and local Gravenstein apples in bloom. All proceeds from these jovial and entirely worthy festivities go to four environmental non-profits. If you’re going to be in the area and would like to attend this event, ticket prices are $50 General Admission and can be purchased online at Iron Horse Vineyards. 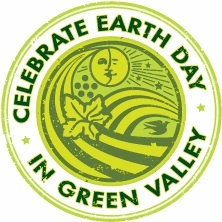 "Earth Day in Green Valley"
Editor’s note: Images courtesy Joy Sterling/Iron Horse Vineyards. Special thanks to guest poster Stephen Yafa of Segue Cellars.